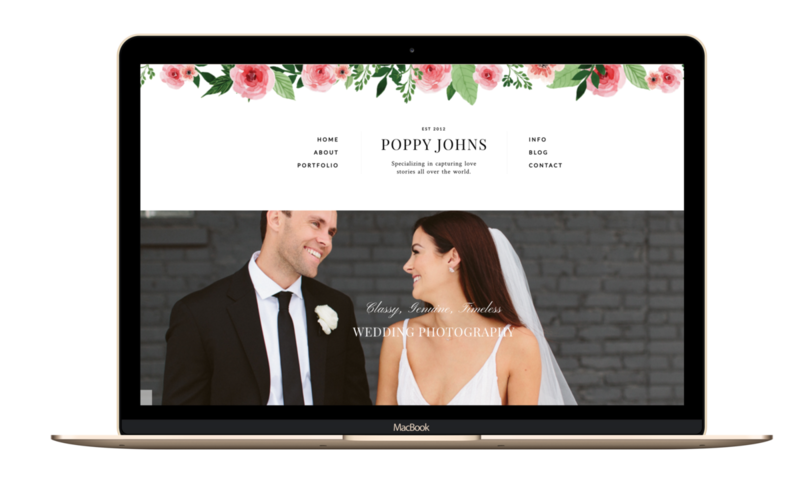 Poppy, with beautiful floral elements and romantic typography, is a perfect design for a photographer and blogger. With ProPhoto there are no limits, only infinite possiblities to create the perfect website for your business. Everything you build automatically adapts to look great on any device: smartphone, tablet or desktop. You can make a few small changes and be on your way or dig in and take complete control, building a totally custom site. Fast, friendly, and truly helpful customer support. The team in West Michigan will be there for you every step of the way. With ProPhoto there are no limits, only infinite possibilities to create the perfect website for your business.